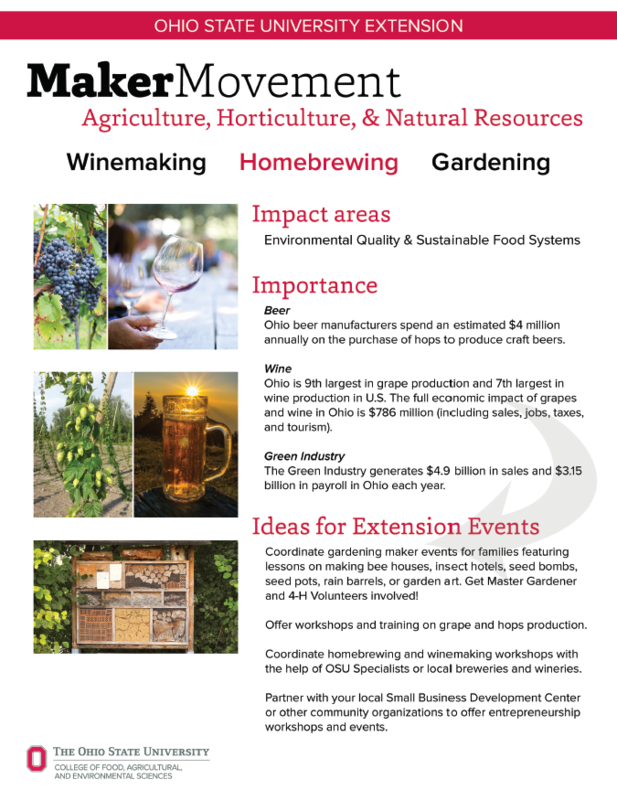 During OSU Extension Annual Conference last week, our Tech Faire transformed into a Maker Fest, featuring sessions from #Adulting to homebrewing and Ohio makerspaces to home gardening. 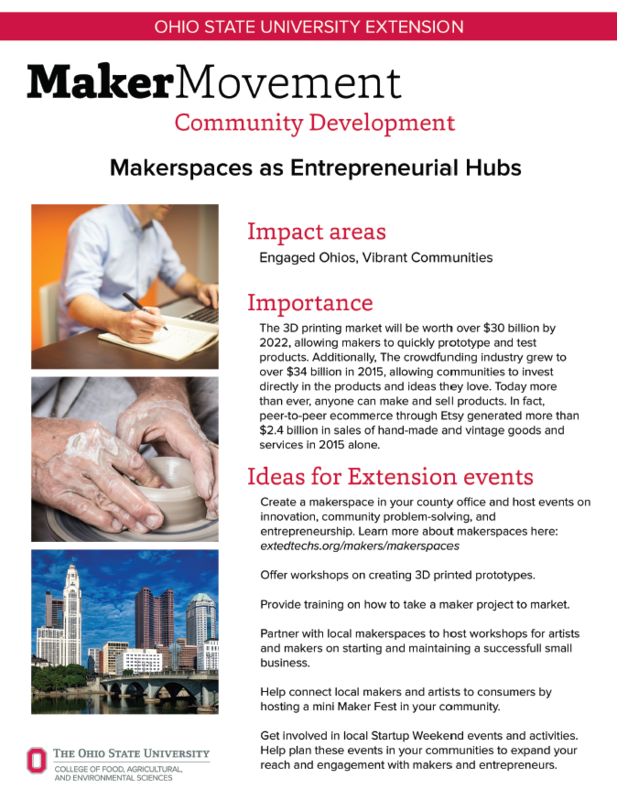 Click the images to access a PDF of each flyer. 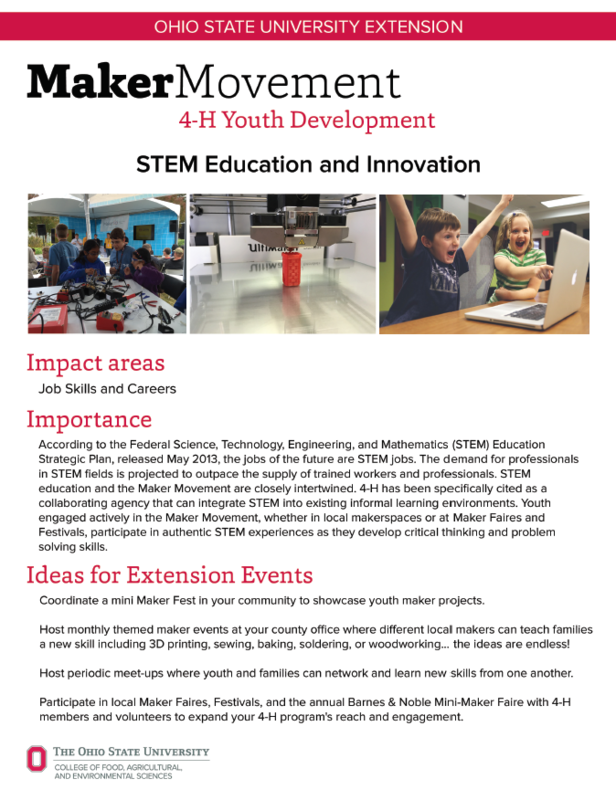 Questions about how you can help OSU Extension become more involved in the Maker Movement? 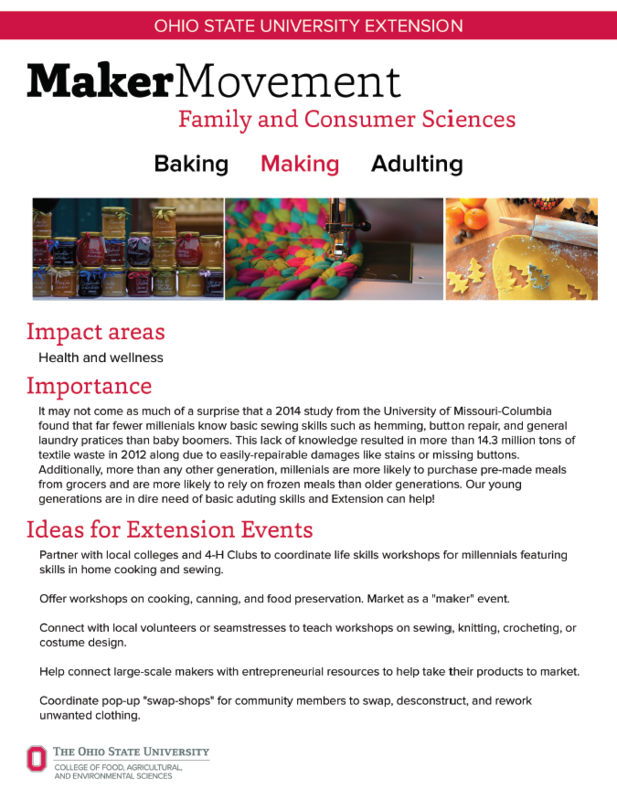 Contact Jamie or Danae.